UCLA students have long argued about the merits of north and south campus. North campus boasted about humanities, arts, and social sciences. On the other hand, south campus prided itself with engineering, math, and physical and life sciences. Most students fell into one of these categories. Supposedly, there was no grey area. Yet enter Madeline Schwarz. As an incoming freshman in 2008, Schwarz entered as a world arts and cultures student with a dance concentration. At the back of her mind, however, Schwarz knew she planned to attend medical school and would need to take the required science classes. Figuring that these classes would fulfill lower division credit for any life science major, Schwarz considered pursuing a variety of fields including psychobiology to neuroscience. Schwarz narrowed down her list and declared as a neuroscience major in the spring of her freshman year. More importantly, for Schwarz, neuroscience fit in with her childhood interests. She explained, “I had been a dancer all my life, so that influenced my fascination with the human body. And I always knew there was more I wanted to do with studying the body, besides moving it. That [curiosity] led me to study anatomy and the brain, which after all controls the body”. Neuroscience also stood out amongst psychobiology and other life science majors because of the research involved with that particular field. Her two research projects at UCLA focused on diseases of the brain. Specifically, Schwarz first worked as a research assistant IV in the UCLA Center of Genes and Environment in Parkinson’s Disease, where she studied the correlation between Parkinson’s disease and pesticide use in the Central Valley. Her research took her to Fresno, where she interviewed patients and studied their medical history using instruments such as the Mini-Mental State Examinations. 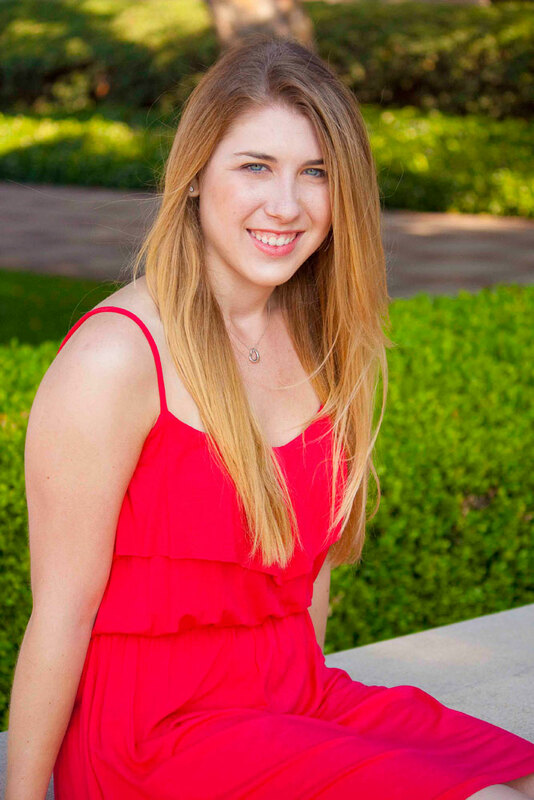 Schwarz later wrote a clinical neuroscience paper on Parkinson’s disease that was published in the Agathai Quarterly Journal, a prestigious journal for collegiate research that is produced by the senior honors society Mortar Board. 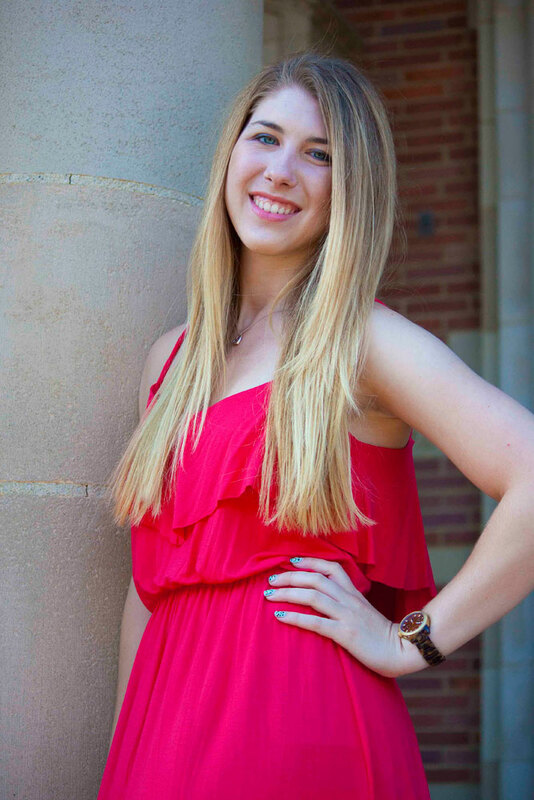 Schwarz also volunteered to help with research projects in the UCLA Department of Pathology and Laboratory Medicine. She utilized immunohistochemistry staining techniques and quantification software to study the relationship between layer-specific proteins in the neocortex of children and the rare brain condition hemimegalencephaley (HME). For her HME research, Schwarz was a finalist for the Dean’s Prize at the campus-wide Science Poster Day. Schwarz’s passion for science first began as an eighth grader, when she also first demonstrated how it could be combined with art. At the California State Science Fair, she presented a project that enabled deaf people to visualize tap sounds through flashing lights. With the experience Schwarz already had in tackling dance and science at the tender age of thirteen, it was easy to see why Schwarz studied both collegiate dance and neurology. Consequently, throughout her undergraduate years, Schwarz attended classes, participated in extracurricular activities, and performed research at the intersection of these two disciplines. In Design Media Arts 9 Art, Science, and Technology, Schwarz was further encouraged to pursue her double major under the mentorship of her professor in the development of a project that combined dance and science. For this project, Schwarz choreographed and taped a seven-minute dance film entitled “Possibilities and Polemics” about stem cells. In Dance 145 Movement-Based Pedagogy for Adult Populations, Schwarz noticed how harmoniously her two majors synchronized. “I learned how to educate adult populations with different disorders through dance. It was really inspiring for me to help people with Alzheimer’s and Parkinson’s disease through movement practice. This class definitely pushed me in the right direction to help people with dance,” she said. Schwarz improved lives through dance even further by signing on to become a volunteer instructor for CoachArt. CoachArt paired children with chronic and life-threatening illnesses with volunteers and mentors, who then provided art and music services. Particularly, in the fall of 2010, Schwarz provided weekly voice and dance lessons to a seven-year-old girl with neuroblastoma, a cancer in nerve tissue. To this day, Schwarz maintained a relationship with the girl and her family. Months later, Schwarz traveled with the student group Global Medical Training on a nine-day trip to Nicaragua, where she helped diagnose patients under the supervision of practicing doctors. She also credited the Department of World Arts and Culture for her experiences. “Before coming to UCLA, I would never have thought I would have the guts to go to a third world country. Being in the World Arts and Cultures department influences me to make a change [in the world],” explained Schwarz. In her last quarter, Schwarz paid homage to her eighth grade science project, which served as the inspiration for her senior honors project, “Neural Rythmns.” It educated audiences that may have little scientific background about neuronal firing through tap dance. Schwarz left UCLA with a very accomplished college career, capped with a 3.94 GPA. 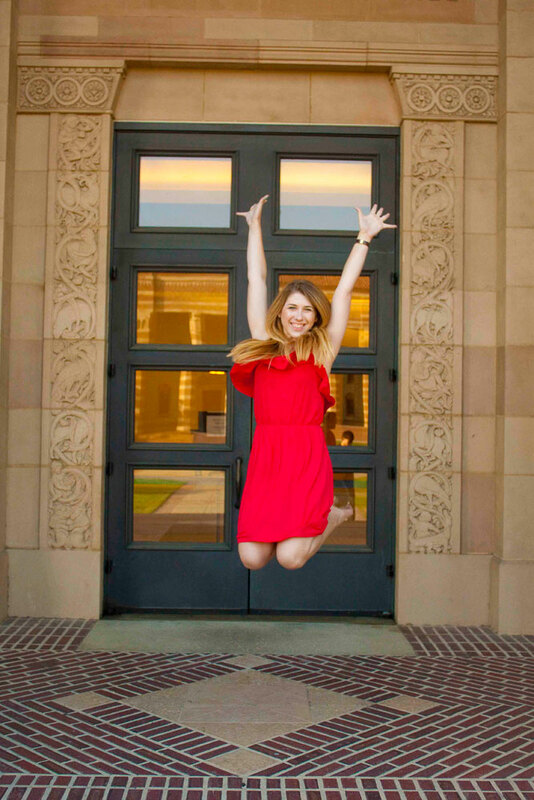 During her time as a Bruin, Schwarz volunteered as a Care Extender at the UCLA Ronald Reagan Medical Center, became president of Mortar Board Senior Honor Society, and worked as a summer MCAT instructor and science camp counselor. Schwarz planned to matriculate into the University of California, San Francisco School of Medicine, amidst acceptance letters from Yale, the University of Pennsylvania, and Vanderbilt. After graduating from UCSF, she intended to become a pediatric neurologist or neurosurgeon. While she predicted medical school to certainly be time consuming, Schwarz hoped to continue with dance in the forms of ballet, contemporary, and tap. Her advice to incoming freshmen was not to stick to one area, but to pursue all available passions. Schwarz added, “There is still a huge disconnect between the arts and sciences. Fortunately, the WAC department was flexible and supportive of me pursuing my [scientific] interests.” Schwarz has shown that the merits of both disciplines indeed can work very well together, which she has demonstrated throughout her undergraduate career in her academics and her extracurricular commitments.